In the summer I easily get excited about cooling drinks such as smoothies or juices. But in the winter - especially when it’s snowing outside - I crave hot drinks that will warm me up from the inside out. However, I find it hard to come up with anything more than a cup of coffee, tea or cocoa. I mean, you can call them Mochas, Lattes or Macchiatos...it’s still coffee with some add-ons. Don’t get me wrong, coffee (or tea) is awesome, but sometimes it’s nice to mix things up a little. And I’m not talking about getting your booze on. In that case there’s a variety of hot drinks to choose from: Hot spiced wine, eggnog with a dash of brandy or hot buttered rum. But as much as the idea of getting wasted in the morning is tempting, that’s not really how I roll. How about a warm smoothie? Don’t turn up your nose just yet; not before you’ve heard it all. I came up with this recipe as I was IMing with my friend Anthony (aka Cooney) the other day. He said (well, more like he typed), he'd whipped up a rad smoothie in the morning using nothing but apples, ginger, honey and fresh mint. Easy, healthy, good. Then it dawned on me, I should make a warm apple pie smoothie. 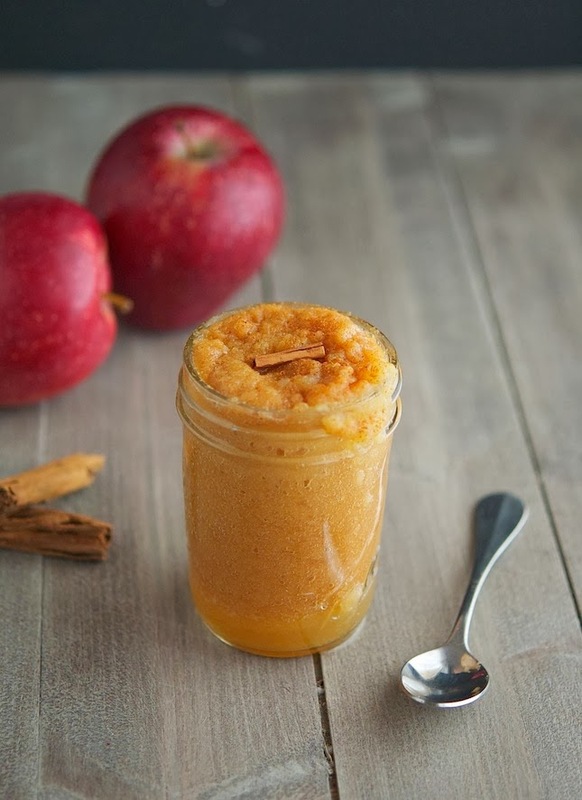 A smoothie that tastes like warm apple pie, without the hassle of making the pie. A thick, creamy, nutritious warm smoothie, perfect for a cold winter morning. And if you’re into Christmas Carols - just like Cooney - you can sing “Oh the weather outside is frightful / But the fire is so delightful, And since we've no place to go / Let It Snow, Let It Snow, Let It Snoooooow!” while you enjoy it. 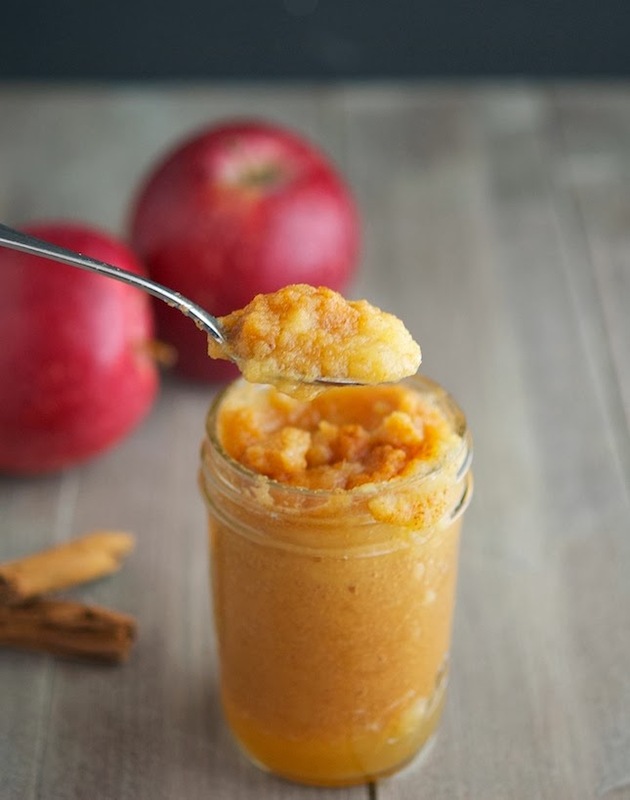 Warm Apple Pie Smoothie Print this recipe! The smoothie yields 124 calories, 0 grams of fat, 32 grams of carbs and 0 grams of protein. Looks like something I'd love to try. Thank you for sharing!! Yum this sounds great, I am definitely going to be making a warm smoothie the cold ones are not my friend this time of year! Can't wait to hear all about your warm smoothies Tam! This sounds amazing! I love hot apple cider, so this is right up my alley. Glad you liked it pal, and so proud you published it here, hope everyone can enjoy this! Great recipe man, everybody seems to love it. We might to come up with new ideas soon! I like adding a cinnamon graham cracker to it as well or just a plain one to give it an authentic pie taste. So good! I love anything apple! I bet a spoonful of peanut butter would work great in this as well. Oh yeah, PB would definitely be a great add-on. You know what? I'll try tomorrow morning! Kudos to your friend Anthony for inspiring you with this recipe. Sounds amazing! Anthony's the man, he's a great dude! Your friend "Cooney" and you are a couple of geniuses! What a great idea this is Mike! Any chance of inventing an apple cider smoothie? Great idea! I was on board as soon as I saw 'apple'! Thanks Nicole, I'm as well a big fan of apples! How did I ever miss this? How incredibly brilliant. I got into the coffee habit but lately the caffeine hasn't been agreeing with me. Some mornings I really want a hot drink but the other usual options are either too full of sugar or just unappealing to me. I'm going to definitely try this, just need to get some vanilla. So the one your friend made with the ginger and mint, do you think that would be good warm? I have all those ingredients on hand. Also, any particular variety of apple that you recommend? Anyway, thanks for sharing the recipe. I'm glad I found your blog. I used Pink Lady, my favorite variety. The smoothie my friend Anthony made was definitely cold, but you can still try popping it in the microwave. Lemme know the outcome! I make this always in winter, didn't know, I was making a warm "smoothie". It's delicious. Just don't make it in microwave (don't like microwaves) I cook it. I didn't have the exact ingredients but it still came out pretty good. 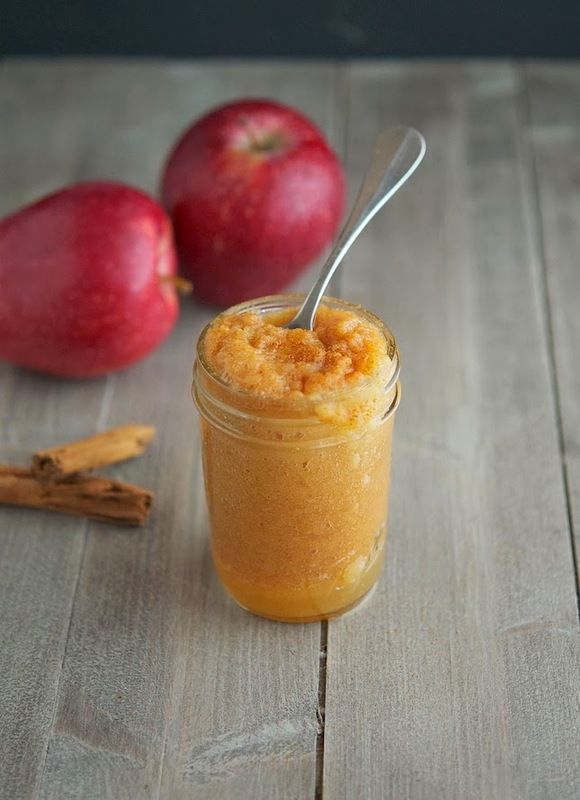 I substituted the apple for applesauce and the allspice with pumpkin pie spice. I also added a table spoon of almond butter for a little bit of protein. I can only imagine how much better it would have tasted had I used a fresh apple but even without its still really tasty. I stumbled upon your recipe this morning as I was on the hunt for something warm, and delicious for this very cold morning (-20C/-4F). I LOVE it! I have been on the hunt for something warm to replace the cold smoothies for breakfast. This is easily one of my favorite treats. I did it this morning, YUMMY!!! I was a bit worried to microwave the yogurt for 2 minutes, but it tasted fine. I love your recipes, you're a food genius! !